As with previous episodes, all discussion in the video is done thoughtfully but with an ever-present element of dead-pan humor (one running joke I particularly enjoyed was the reference to subtitles or inserts to be potentially added in to the video later, which are never actually present in the released video). 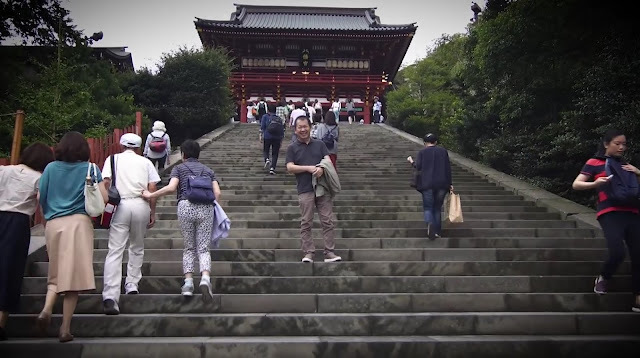 At the start of the episode, Adam shares some anecdotes from his trip to Japan last year and displays some of the merchandise acquired. 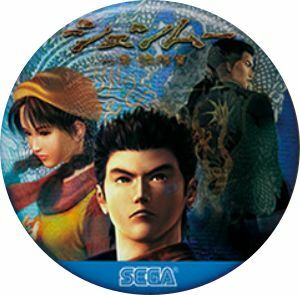 One of the items in particular, the official Sega Shenmue-themed pin badge from the 2016 Tokyo Game Show, was available only from the Sega toy capsule machines and so you had to be quite lucky to obtain one, as he notes. 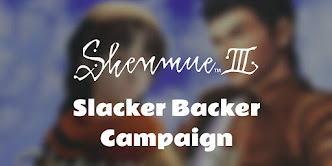 (The odds of striking the Shenmue badge may have been even steeper than estimated in the video, as the capsule machines contained an impressive total of 25 different badge designs). Washing a 10,000 yen note (approximately $100 USD) at the Zeniarai Benten shrine. 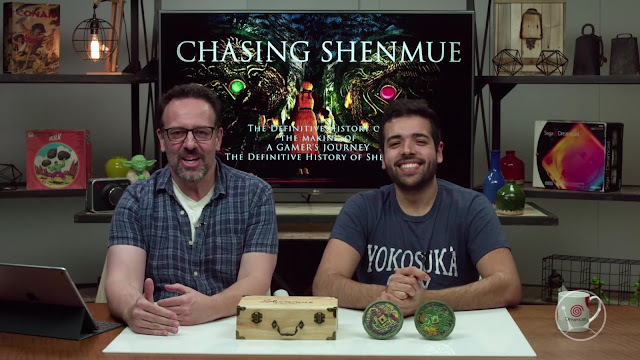 In the main part of the video, after a brief review of progress to date (which the guys covered in depth in Episode Two), the various activities planned as the next steps in the creation of the Shenmue documentary are discussed. These include setting up additional interviews in Los Angeles and elsewhere, as well as a planned second trip to Japan with a full documentary crew for some in-depth gathering of material, the timing of which will be dependent on YS Net's schedule. 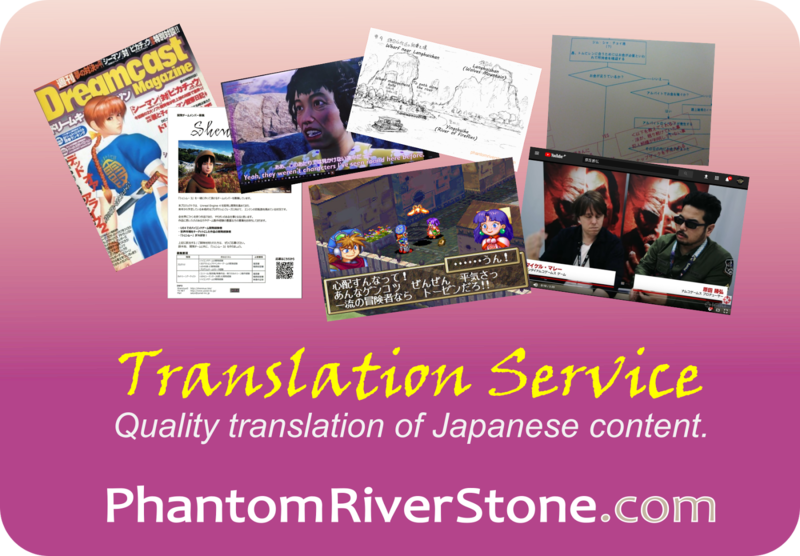 Trips are also planned for attendance at upcoming events that may be relevant for Shenmue. All these planned interviews, event attendances and trips will obviously be very resource intensive, both timewise and financially, and to date the entire project has been self-funded. Having reached this point in the project, with a concrete plan and Yu Suzuki's complete blessing locked in for the making of the documentary, the team is now reaching out to fans to gauge their thoughts on options for raising funds for the project, either through Kickstarter and/or by offering Presales. Not only could funding from fans provide crucial upfront means for these goals to be achieved as smoothly as possible, but it would be a strong and welcome demonstration of support from the community. Feedback is invited from everyone to gauge whether fans are onboard with the proposal and would support such a fundraising effort. 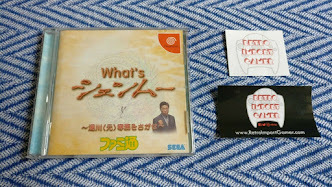 As mentioned, this episode also contains a great bonus teaser featuring snippets of interviews about Shenmue with several familiar faces from the past and present gaming community - including Peter Moore (president of SEGA of America from 1999-2003) - and even a recent clip of Yu Suzuki during the backers' reward trip in Kamakura. Check out the whole episode below, and after enjoying the update remember to drop a comment to the guys to show your support for the project and let them know your thoughts regarding the funding proposal.